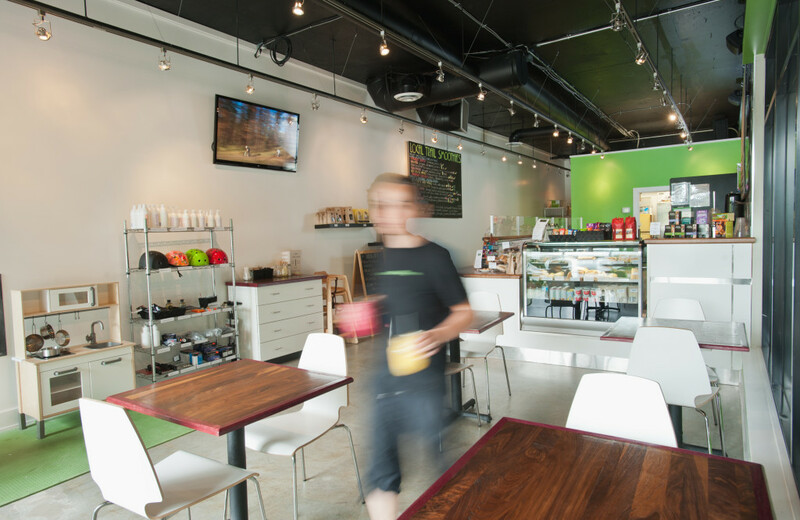 The Local Lift Juice Bar officially opened its doors on June 11, 2013. Located at the base of Mt. Seymour in Parkgate Village, it is in the perfect location to provide the opportunity to explore healthy living to the community and all mountain users. Locally owned and operated, The Local Lift Juice Bar’s entrepreneurs are Jacqueline and Chris Doll, residents of the Mt. Seymour area. Both have a passion for outdoor sports, healthy eating and helping build a strong community. Avid mountain bikers and skiers, Jacqueline and Chris have been users of the local mountains for over 25 years and now enjoy introducing all sports to their 3 daughters. When making their own food choices, their priorities are that it should be good for them, good for the environment and good for the animals. As vegetarians, The Doll’s ensure there are always vegan and vegetarian options available at The Local Lift Juice Bar. Jacqueline and Chris’s goal for The Local Lift is to encourage people to feel great through good nutrition and believe that overall health is greatly impacted by food choices. Jacqueline and Chris are very proud to be serving nutritious juices and smoothies and can be seen bringing over 10 crates of fresh fruits and vegetables each day into the juice bar. They are thrilled at how the local community has embraced their presence in Parkgate Village and are excited to see so many local residents making healthy choices for themselves and their children.